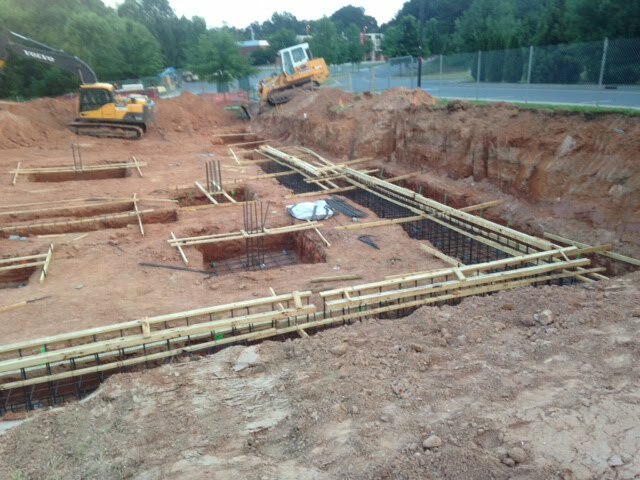 The holes were dug for our footings, the rebar in place. Yesterday they poured the footings. All quiet today while the concrete cures.